Les' virtual organ uses two copies of SImpleSynth, each running on one of the two Intel cores on the Apple MacBook Pro. 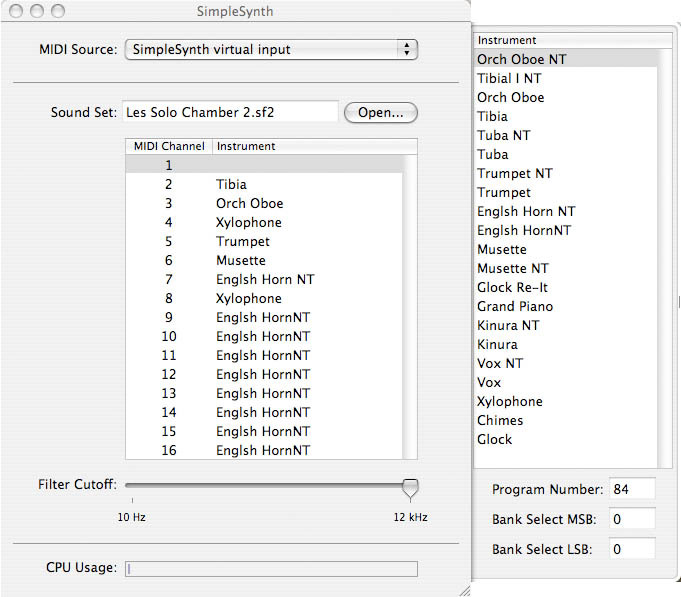 Each SimpleSynth instance contains the ranks and effects that represetn one of the two organ chambers. Each chamber has its own volume control (swell) from the Rodgers organ. The above intance is the SImpleSynth running the "Main chamber." The ranks and effects of the main chamber may be seen listed in the window to the right. Notice that each pipe rank has two entries. The NT means "no tremulant" (vibrato.) Theater organ tremulants are very complex so each pipe has been sambled with and without tremulant. Notice also that there are tuned percussions, such as Harp and Marimba. "Percussions" amd "Traps" contain various drum sounds. 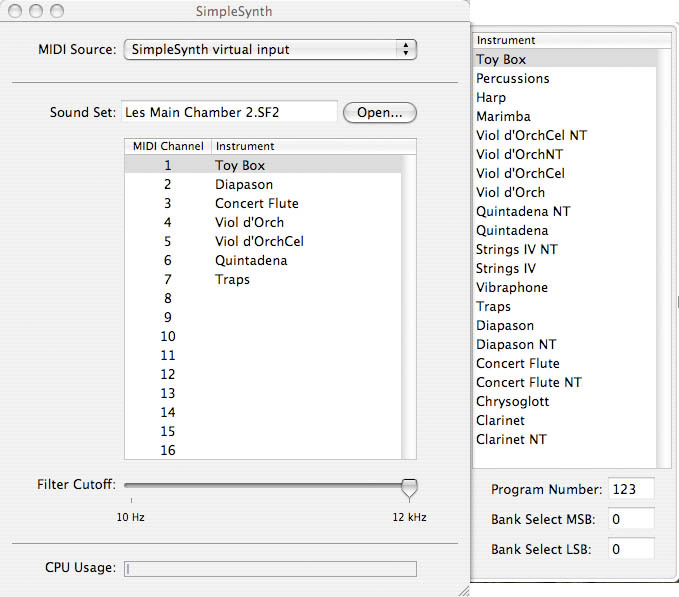 The other intance of SImpleSynth, for the Solo Chamber is shown below.